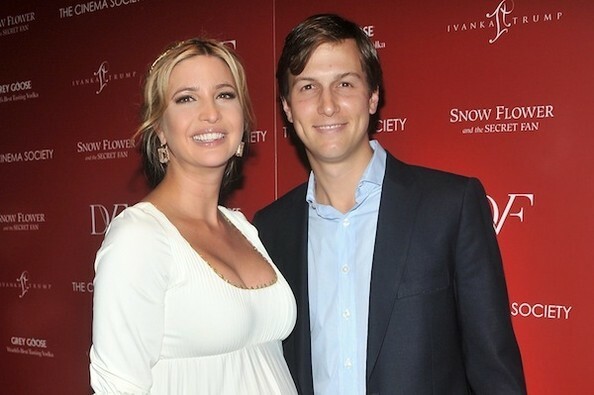 Ivanka Trump and Jared Kushner are the proud parents of a baby girl! This morning [Jared] and I welcomed a beautiful and healthy little baby girl into the world," The Donald's daughter announced on Twitter. "We feel incredibly grateful and blessed. Thank you all for your support and well wishes!" Just days before giving birth, the Celebrity Apprentice judge talked about becoming a mom. "I'm beyond excited," she said. "We're both thrilled! We can't wait to be parents!" Ivanka and Jared, who owns the New York Observer, got hitched in October 2009. Congrats to the happy family!